New York-based label Nicholas K’s Fall/Winter 2012 show mixed cowboy styling with dusty, post-apocalyptic olives and grays, as if the inhabitants of Fallout: New Vegas strongarmed their way into the tents at Lincoln Center. 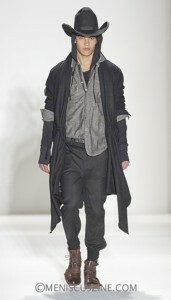 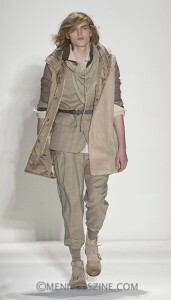 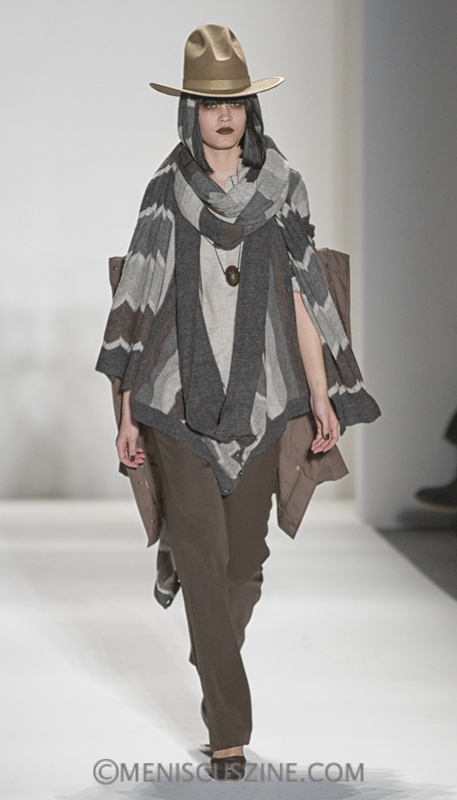 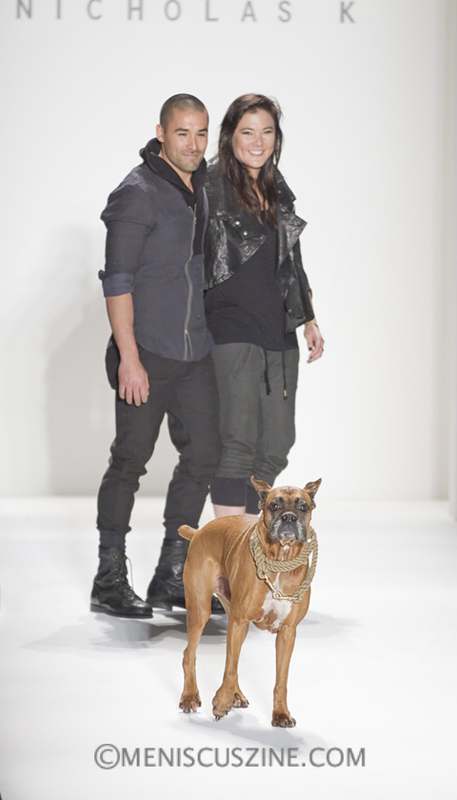 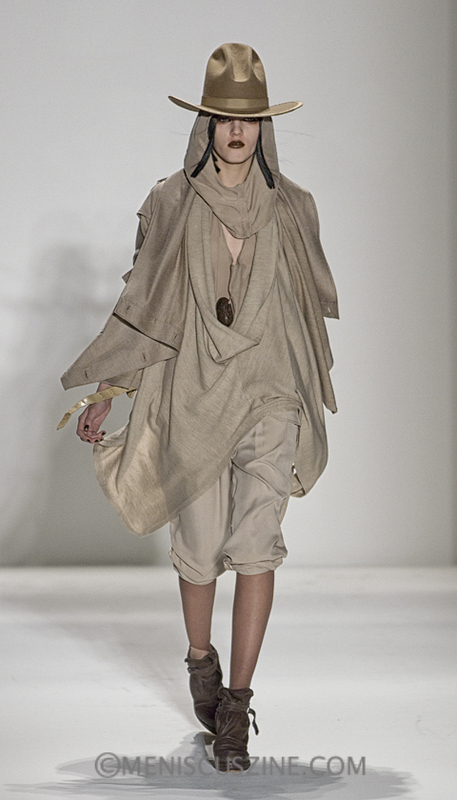 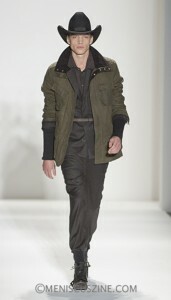 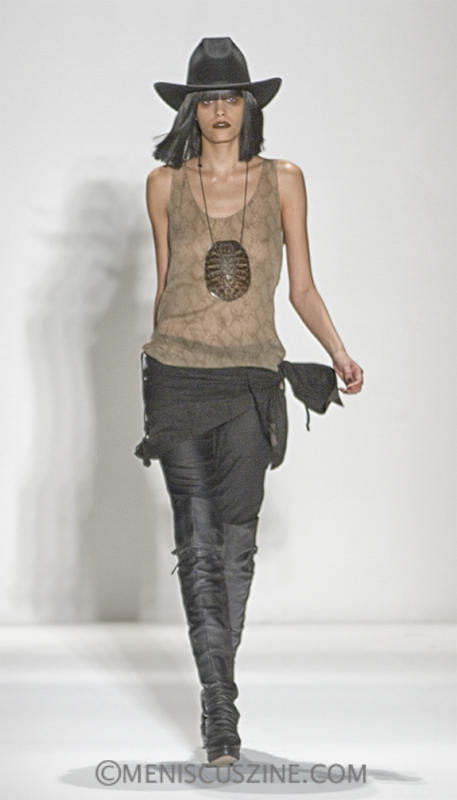 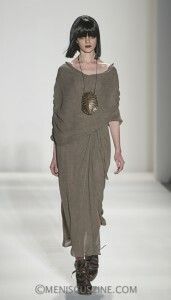 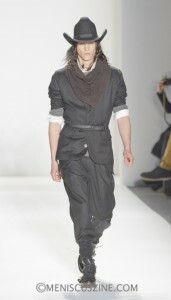 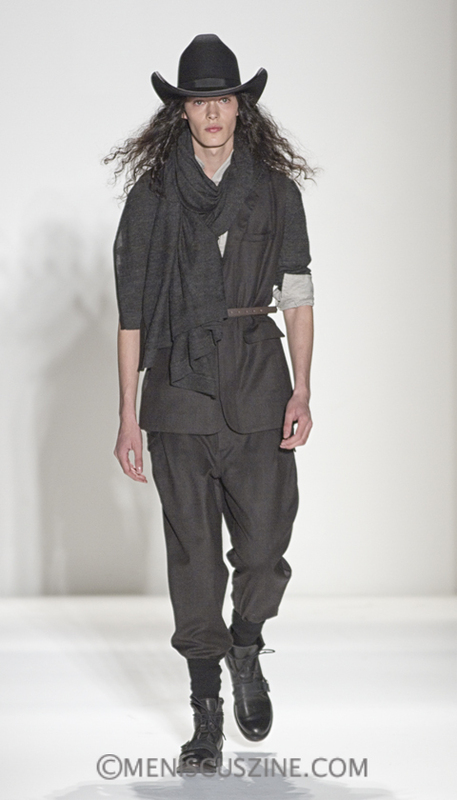 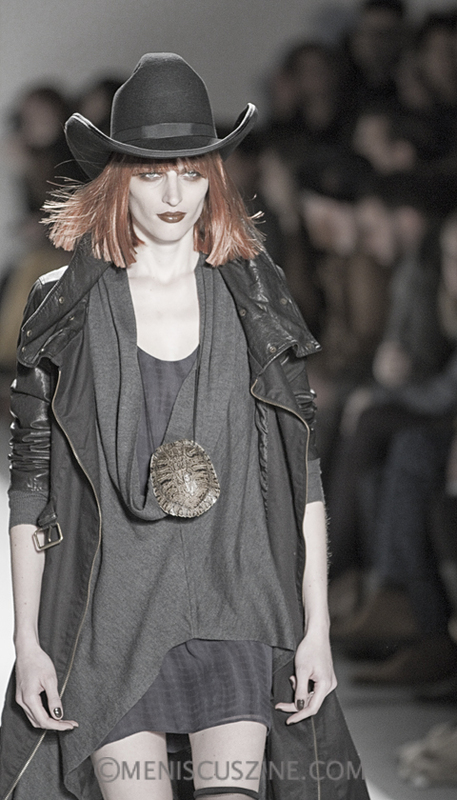 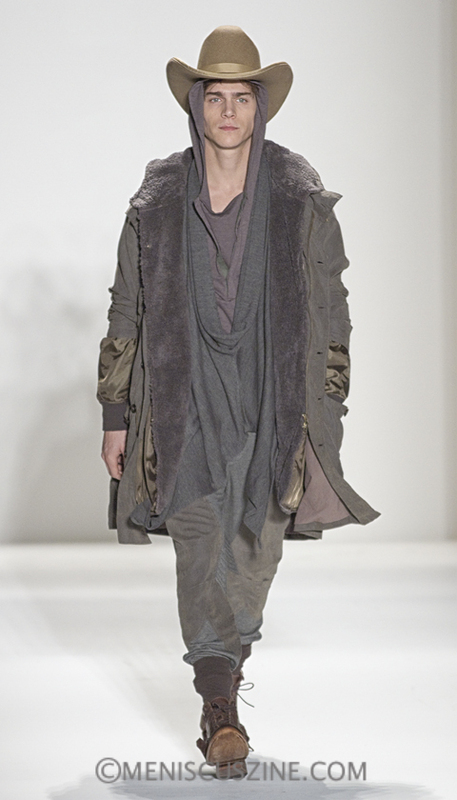 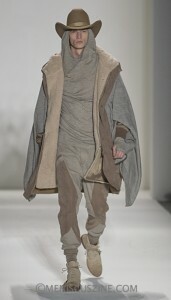 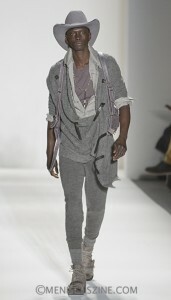 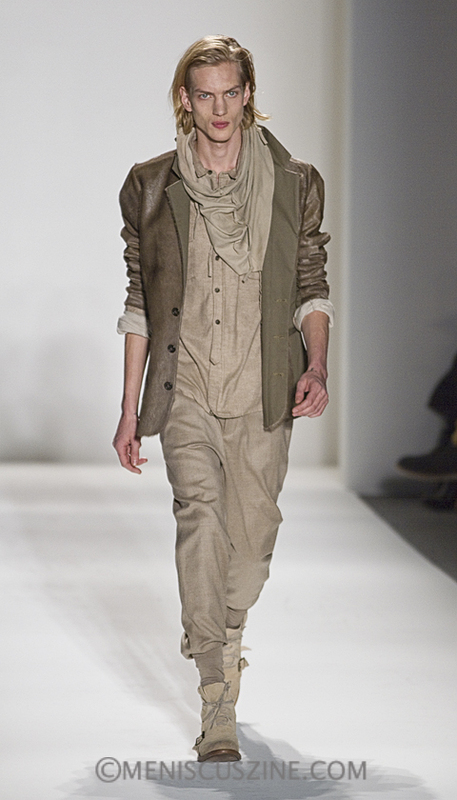 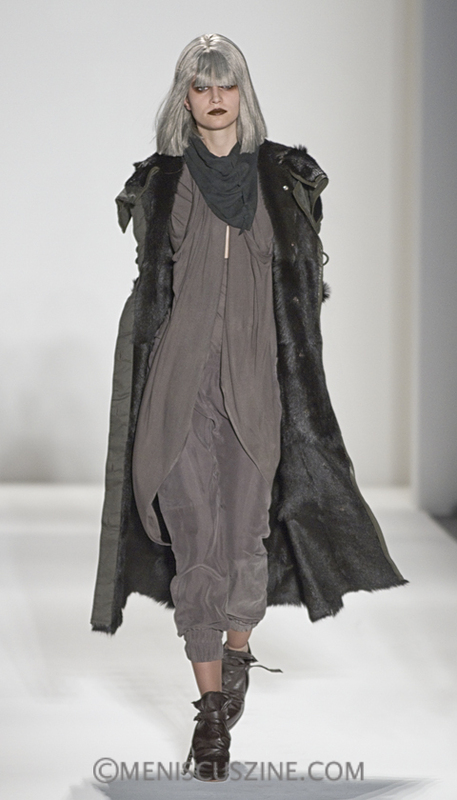 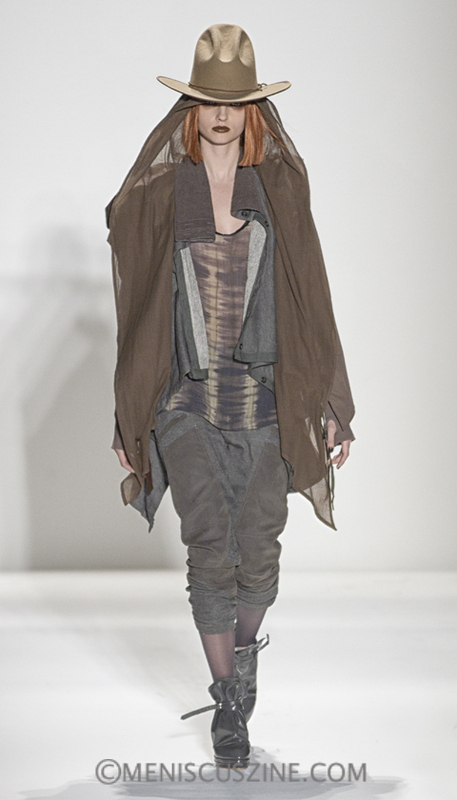 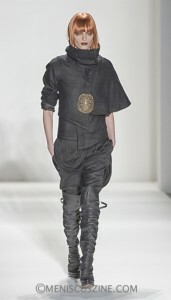 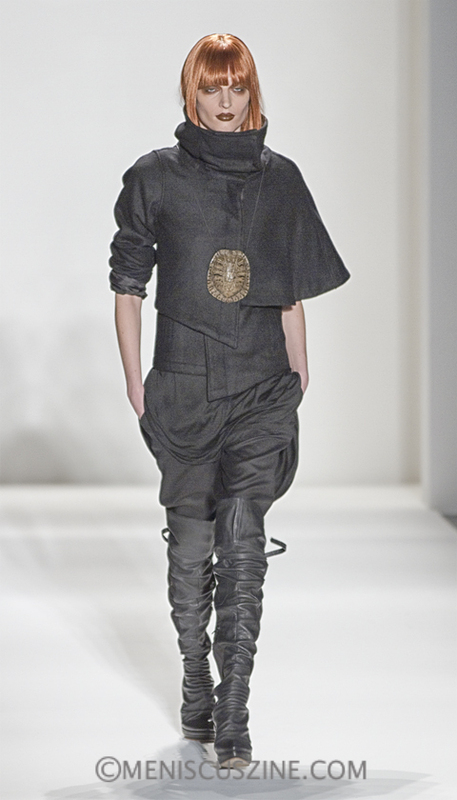 The new collection again featured designer Nicholas Kunz’s predeliction for layers and draping. 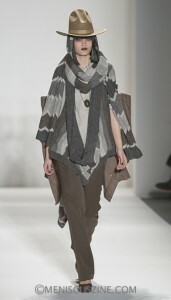 Her design signature manifested in fringed knit shawls, roomy wool ponchos and grungy oversized sweaters. 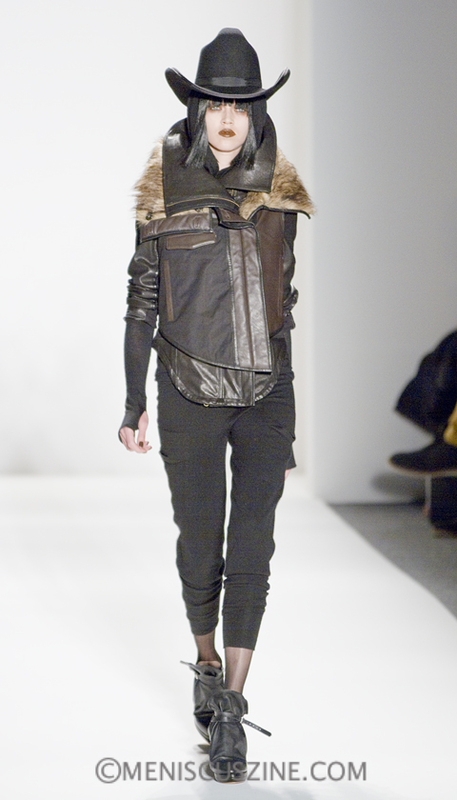 Ruling the show, however, was the outerwear, which included fur-lined high collar leathers, asymmetric horsehair jackets and calf-length coats that mixed leather with wool and cotton.